Deadline reports that Avengers: Infinity War stars Tom Holland (Spider-Man: Far From Home) and Chris Evans along with Good Time‘s Robert Pattinson and Alice in Wonderland actress Mia Wasikowska are currently in talks to star in director Antonio Campos’ film adaptation The Devil All the Time. The Devil All the Time film is based on Donald Ray Pollock’s 2011 novel of the same name. The novel’s plot is set in a place called Knockemstiff, Ohio, a forgotten backwoods of this country. The story follows Willard Russell who turns to prayers and animal sacrifices out of his desperation to save his wife who is succumbing to cancer. Meanwhile, his son Arvin is growing up from a bullied school kid into a man who knows when to take action. The cast of characters includes a serial killer couple, a faith-testing preacher and a corrupt local sheriff in a story told across decades. Holland would be playing Arvin while Evan would take role of the sheriff. The film will be directed by Campos who will also pen the adaptation along with Paulo Campos. Randall Poster, Jake Gyllenhaal and Riva Marker of Ninestories Production are set to produce the film. The Devil All the Time‘s production is scheduled to begin in February 2019. Antonio Campos (Christine) is also busy working on other film projects such as Fox Searchlight’s horror film Slipfoot and 20th Century Fox’s The Omen prequel. He is also working on the TV series The Sinner which stars Jessica Biel as the show’s director and executive producer. Holland and Evans are best known for their roles as Peter Parker/Spider-Man and Steve Rogers/Captain America in the Marvel Cinematic Universe. Both of them will next be seen in the untitled Avengers 4 that is slated to premiere in 2019. Pattinson is best known for his role as Edward Cullen in Summit Entertainment’s The Twilight Saga. Wasikowska gained recognition for her role in Tim Burton’s Alice In Wonderland as the film’s protagonist, Alice. Pattinson and Wasikowska have both recently appeared in the western comedy Damsel which premiered at the 2018 Sundance Festival. 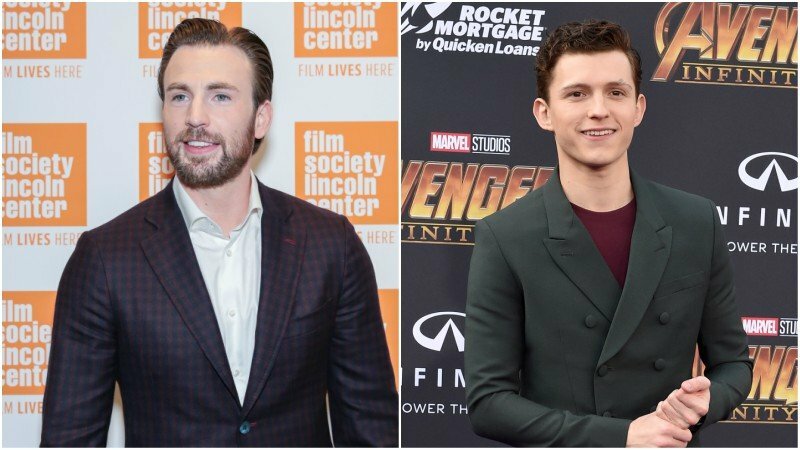 The post Tom Holland, Chris Evans & More In Talks to Star In The Devil All the Time appeared first on ComingSoon.net.